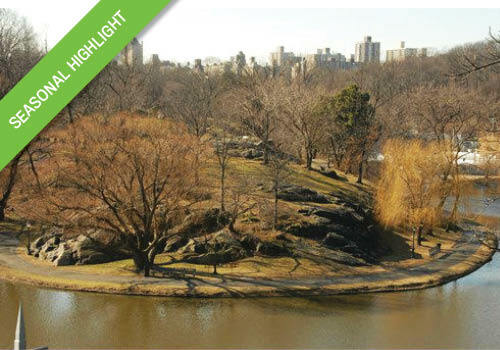 Staff Pick: Did you know that the north end of Central Park has a rich history that includes the British having been stationed here during the American Revolution, and American troops stationed there during the War of 1812? Recent archaeological and historical investigations in the area have revealed even more information about how the "Fort Landscape" was used in the late 18th and early 19th centuries, before this area was part of Central Park. This season, join our guides and learn the history of this part of the Park, get insight into the studies in the area, and appreciate the recent restorations undertaken by the Conservancy. Highlights of this tour include McGowan's Pass, Fort Clinton, Nutter's Battery, and the Harlem Meer.